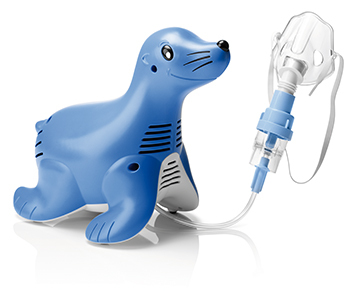 The Philips Respironics Sami the Seal pediatric compressor is shaped like a seal to appeal to children, their parents, and pediatricians, and to support aerosol therapy compliance. It partners with our highly efficient SideStream nebulizers. 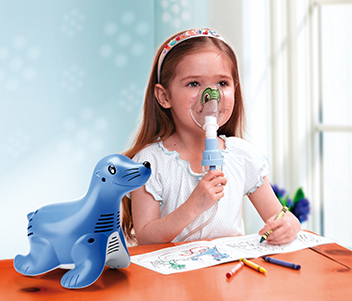 For use with the Sami the Seal compressor nebulizer system, the Tucker the Turtle pediatric mask is also designed to appeal to children and support compliance. 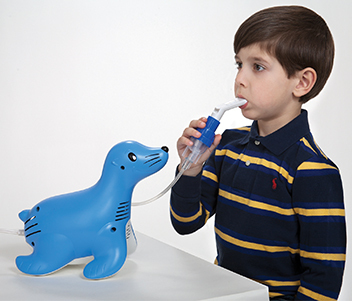 Tucker can be used with both the SideStream disposable and reusable nebulizers and has bene proven to reduce aerosol deposition in and around the eyes.